Okami remains one of the most unique games ever released. The original came out on the PlayStation 2, towards the end of the console’s lifecycle in 2006. After a successful remaster to the PS3, the game has now been upscaled yet again and released on the PS4. But is 4K support on such an old title a wise decision? Or will this just end up a pixelated mess? Read on to find out. The original game was revered for its graphics, and the first HD remaster upscaled those graphics to full HD. This time around, everything has been upscaled even further, all the way to 4K resolution. This may actually just be the game running in its native resolution from the remake work performed initially by HexaDrive. The PS3 version was using a technique known as supersampling – in simple terms, the game was actually preparing to display the game at 4K, but then outputting at 1080p as that was the PS3’s native resolution. 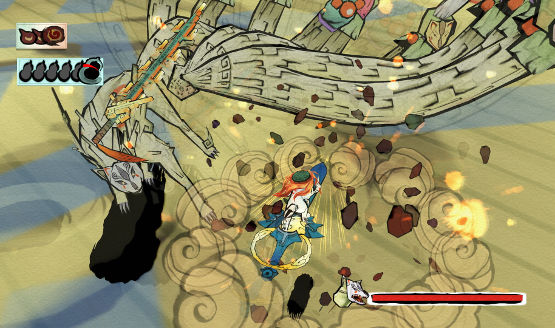 This time around, the PS4 is more than capable of playing Okami HD at 4K, though it is locked to 30 frames per second. 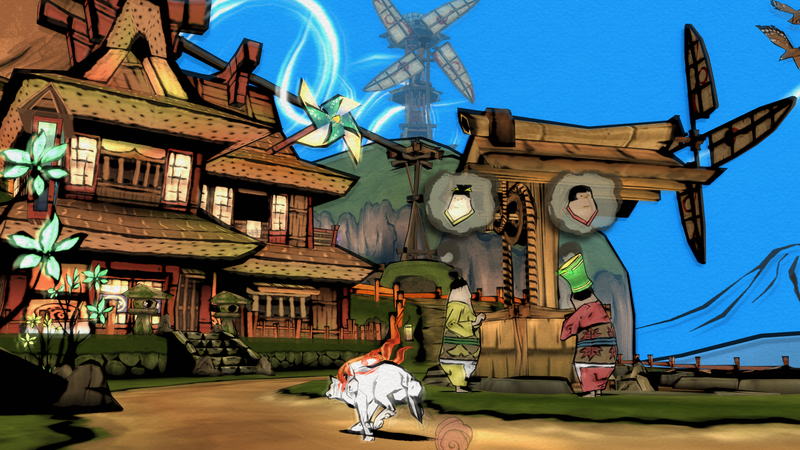 Regardless, Okami HD looks better than it ever has. The audio on the original Okami was always impeccable, capable of taking the player into the world of Japanese mythology. Tiny helper character Issun is just as high-pitched and endearingly annoying as ever, while dramatic changes in the music as Amaterasu encounters various enemies sound the same as they ever did. There’s usually not much to improve upon when it comes to audio work on a video game remaster, and thankfully this is one game that has been well-preserved in that regard. Controls remain essentially untouched since the original. Motion controls have been removed for this iteration. That’s going to sit just fine with most players, because the game was not designed with them in mind, and maintaining control over the camera is essential during some of Okami’s more intense fights. A few aspects to the controls show Okami HD’s age, though. For instance, the camera behaves rigidly, as though it is locked to only a handful of directions. The default control scheme also has the axes reversed compared to modern schemes. So if you move the right stick up, the in-game camera moves down, and vice versa. A quick trip to the options menu fixes this right up, however. Content also remains identical to the original on the PS4 remaster. This includes the loading screen mini-games which can be played to earn extra rewards, and which were ripped out for the PS3 remaster. The mini-games are oddly disabled by default, and must be enabled in the options menu. Completing Okami HD’s main campaign hovers around the 40 hour mark, which is truly a rare thing to see these days. Full completion can take twice that amount of time. So is this latest version of Okami worth your money? Well, that depends. If you skipped out on the original release, as well as the PS3 remaster, then this is an easy $20 buy. 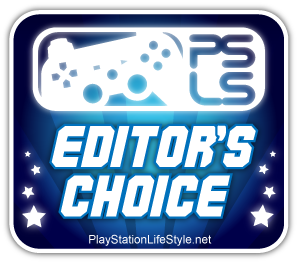 If you have a PS4 Pro and 4K television, then this is also worth a purchase even if you already have the PS3 edition. However, if you’re playing on a stock PS4 or a PS4 Pro hooked up to a 1080p set, then there won’t be much of a difference in the experience. Also, trophy hunters be warned; this version shares the same trophy set as the PS3 remaster, so no double-dipping here, unfortunately, even though it is a separate purchase. Okami HD review copy provided by publisher. Version 1.00 reviewed on a PS4 Pro. For more information on review scores, please read our Review Policy.